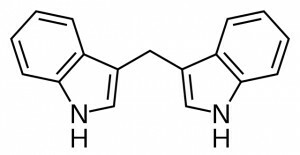 DIM is chemically called an indole and is a plant phyto-nutrient. It is present copiously in vegetables, especially brussels sprouts, cauliflower and broccoli. DIM tends to increase the ratio of testosterone to oestrogen metabolites in males, and this, of course, tends to make your body composition leaner and is why bodybuilders and strength athletes have given it some attention recently. DIM can modulate oestrogen in women and men (stronger effect in women), to drive the formation of 2-hydroxy oestrogen (sometimes called “good oestrogen”). This causes stored fat to be released by fat cells! 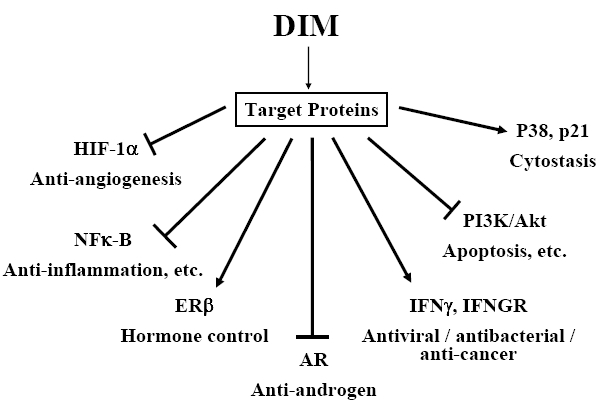 DIM is also considered a strong anti-cancer agent.